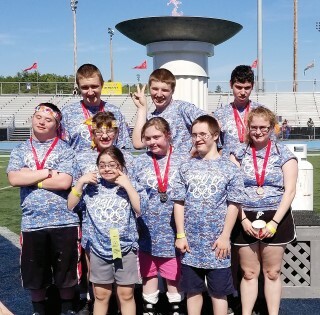 Nine RSU 14 athletes competed at the State Special Olympics on June 9 to 10, 2017. All athletes are grades 6-12. Athletes brought home a lot of medals and ribbons and a great time was had by all who attended. The weekend was capped off with a dance with Motor Booty Affair. A special thanks to all the coaches and all who helped fund the trip especially the RSU 14 Boosters.